This new effort by National Geographic Kids hits all the right spots in providing detailed information on topics middle grade kids crave. Along with awe inspiring photos and drawings, each edition features support from a leading in-the-field expert with personal stories, experiences, and knowledge. They are hardback but the perfect size (7.5 by 9.5 inches) and page count (114 pages), making them easy to pull out and read in the car or anywhere else where space is at a premium. The information presented is detailed and full of reading challenges . There are of course fun pieces, but the focus is on understanding each topic to its fullest extent. The books have four chapters, each ending with an interactive feature to get you involved even deeper. You might be making something or taking a visual quiz. The layout is spectacular and fits in with the visual learning style of so many young readers. This begins with the Contents page and continues right through to the end. They couldn’t have done a better job choosing the experts. These people are in the middle of the action and you might find yourself wanting to follow in their footsteps. Hold on tight… Below is a little background on each of the first four volumes. I’ve included my own thoughts and a favorite fact in the field (from literally hundreds to choose from in each book). Chalked full of information, DINOSAURS will have you learning about these creatures from a different era with surprise and envy. I never knew there were so many dinosaurs, including ones just discovered. Very much appreciated was the pronunciation guide in the back pages. I needed a little help on KUEHNEOSAURUS (KWAIN-ee-o-SORE-us). Absolute Expert: Dinosaurs by Lela Nargi and featuring in-the-field expert Dr. Steve Brusatte, a National Geographic Explorer and Paleontologist – Dr. Brusatte has named more than 15 new species, traveled the world searching for dinos and is particularly interested in the origin and evolution of dinosaurs. Throughout this book Steve shares his stories, adventures, discoveries and insights about his life as a paleontologist and the amazing dinosaurs that he studies. Every page contains rich details and drills down into all aspects of dinosaurs — different species, how they evolved, their behaviors, fossil science and so much more. MY FAVORITE IN THE FIELD FACT: The sounds dinosaurs made is called closed-mouthed vocalization. They probably sounded like ostriches and cassowaries. One look through DOLPHINS will bring a smile to your face. They have that instant effect. The text takes you under the surface and gives you a realistic portrayal of these beautiful creatures. Conservation is the backbone because we never want dolphins to disappear off our earth. Start in any chapter and learn new things on every page. Absolute Expert: Dolphins by Jennifer Swanson and featuring in-the-field expert Justine Jackson-Ricketts, a National Geographic Explorer and marine biologist — Comprehensive coverage of all things dolphin, including all the different species, a nose-to-tail look at these amazing mammals, their habitat and behavior, how to study them, career opportunities in the field, and the importance of conservation efforts. Justine, who studies rare Irrawaddy dolphins in the Gulf of Thailand, acts your guide as she shares with the reader the work she is doing to save this species of dolphins whose numbers are dwindling. MY FAVORITE IN THE FIELD FACT: While humans use goggles or masks to see underwater, dolphin’s eyes are special. They secrete a special oil to make them see better and it keeps the water out. SOCCER is where you’ll learn the rules and a description of the player positions, but what makes this special is the historical angle. Find out how soccer was named and the success at making it a worldwide sport. World Cup, MLS, Olympic, and women’s soccer are all given their space and each is full of history. Absolute Expert: Soccer by Eric Zweig and featuring in-the-field expert Mark Geiger, a Major League Soccer and Olympic referee (and one of only two U.S. referees officiating at this year’s World Cup) — Covering sports history, the latest gear, facts about little-known regulations, high profile athletes and so much more, this title has it all. Professional ref Mark Geiger shares his personal stories of what it’s like working the Olympic games and the World Cup, how to train to be a professional referee and the importance of good sportsmanship. Throughout this year’s World Cup, Mark has had to pull the yellow and red card quite a bit — and his explanation of how and when he uses them is fantastic. Fresh off the World Cup and heading into soccer season, this title is extremely timely. MY FAVORITE IN THE FIELD FACT: Bert Patenaude was an American soccer star and in 1930 he scored three goals in a World Cup match against Paraguay. He was the first player to score this special hat trick. Unfortunately, a discrepancy kept the record out of the books until almost 76 years later. Bert has already passed away and never knew he finally received the official credit. A global journey is in store for you as Volcanoes from around the world are featured. See the different types of volcanoes and eruptions and how they occur. I found the feature on Mount St. Helens fascinating as it tells and shows how nature recovered in the thirty plus years since the eruption. Absolute Expert: Volcanoes by Lela Nargi and featuring in-the-field expert Arianna Soldati, a National Geographic Explorer and Volcanologist — The ongoing eruption of Kilauea has brought volcanoes — the science behind them, their combustible beauty and the massive damage they cause — back into the headlines. This timely title contains the latest information on all types of volcanoes around the world, which ones are in danger of erupting and what it takes to get up close to study the science behind the eruptions. Arianna has done field work all over the globe and acts as the reader’s guide to these combustible natural wonders. MY FAVORITE IN THE FIELD FACT: A caldera is formed when the outside structure of a volcano collapses, leaving a giant bowl shape in the ground. Yellowstone has one of the biggest and scientists think some day it may erupt again. If it does they expect climate will be affected around the world for many years. I received these books from the publisher in exchange for an honest review. Make a comment below. I enjoy reading all of them. This entry was posted in Middle Grade Book Reviews, non fiction and tagged Absolute Expert series, Dinosaurs, Dolphins, Middle Grade Book Reviews, Middle Grade Non-Fiction, National Geographic Kids, Soccer, Volcanoes. Bookmark the permalink. Writing non-fiction that keeps kids interest isn’t easy. These sound like they do it though. Loved that you shared your favorite facts, all new to me. I never knew that about dolphin’s eyes. And I would have needed that pronunciation guide too! A very thorough post, Greg. Thanks. I’m sold. 🙂 I need books to have an appealing layout in order to hold my interest, and I’m grown; it’s even more important for kids. These sound great. These will be great books for great grandson in a few years. Right now at 4 yrs., he adores the National Geographic books for younger kids on dinosaurs, ocean life, bugs and planets. These are such great books for kids who love details and are interested in the world. I love the Geographic Kids books, and this new series sounds awesome. I enjoyed the fact you shared about volcanoes. 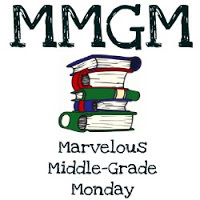 Thanks for sharing this post with us for MMGM! National Geographic KIDS used to be some of my FAVORITE books when I was littler! I’m super happy to see that they are still making them! Their books are always filled with interesting facts and I’m glad to see they still make them as entertaining as ever. Thanks for the review! I love all the National Geographic books you feature. I will have to check these out. Thanks for the review.